Want us to do the hard work for you? Check out all of our latest football accumulator tips. We research each and every tip in lots of detail. Look no further than BetVictor for your accumulators. They guarantee you the best odds and will pay the difference! Always take the value with BetVictor. As far as bets go, there aren’t many more exciting than a football accumulator bet. The main draw of the football accumulator is the potentially huge payouts for a relatively small stake. The biggest ever winning football accumulator is believed to be £500,000 for a 50p stake, placed by an unnamed punter in Lichfield, Staffs., back in 2001. Why Bet on a Football Accumulator? Accumulators can pay such a large amount because you are choosing more than just one event to bet on. An accumulator is a bet that has two or more selections (quantity of selections is limitless) and in order for you to win, every selection you have made must be successful. Unlike multiple bets like Lucky 15’s (15 bets), Yankees (11 bets), patents (7 bets) etc., where you are covering doubles, trebles and above, the accumulator consists of just one bet, which is your stake. Check out our regular football betting tips as well as Both Teams to Score selections and singles football tips in our betting tips section, which has had some great results recently. Most online bookmakers will accept stakes of as little as 10p to place your bet. It is then up to you to choose them all important selections which could win you your fortunes. Accumulators can be placed on any sport, but as we have a keen interest in football betting we will use football as our subject matter. Let’s make it really clear. The more selections you put in your football accumulator bet, the less likely you are to win. This is a fact. But if you don’t mind spending the odd couple of pounds here and there, one day you may hit the jackpot! Many punters don’t think too much about their selections when placing a football accumulator bet. As most people only invest small stakes in this bet, they decide not to research their selections as much. This is something we take pride in at TVBet. Regardless of bet size, we do our best with all the information available to us to try and make every bet a winning one. This bet was placed on Saturday 20th November 2011. It was a £15 accumulator on Arsenal to beat Norwich (W2-1), Cheltenham to beat Port Vale (W2-0) and Southend to beat Dagenham (W3-2). This bet is a pretty small accumulator, although it still paid £105.98 for just a £15 stake. The bet was placed at BetVictor by one of our team here at TVBet. The selections were part of our betting tips for the weekend in question and can be found in our betting tips category. As mentioned, there are only 3 selections to this bet, but how many selections you make are completely your choice. Many weekend punters place up to 10 selections in their accumulator, hoping to get that huge return. 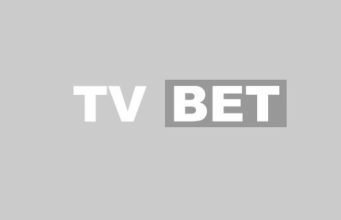 Here at TVBet we are constantly researching football matches, statistics, form guides, and many other criteria in order to make winning selections. A mistake commonly made by punters is just to select teams that are short odds, always with the same bookie, in the belief that short odds means a team must win. This couldn’t be more wrong. The betting odds are just an interpretation of what the odds compiler thinks they should be. And with the huge range of online bookmakers now just a click away, you should always seek the best odds, boosting your profit even more. Bookmakers are fighting for your custom, and always offer a free bet for new customers. Here we have compiled a list of the best bookmakers to place your football bets with, as well as the great free bets they offer you! Betting on football accumulators should be fun, but at the same time why not make them as profitable as possible? Here at TVBet we take our accumulator tips very seriously. We use all available statistics, trends and any other valid information to select only the best bets.